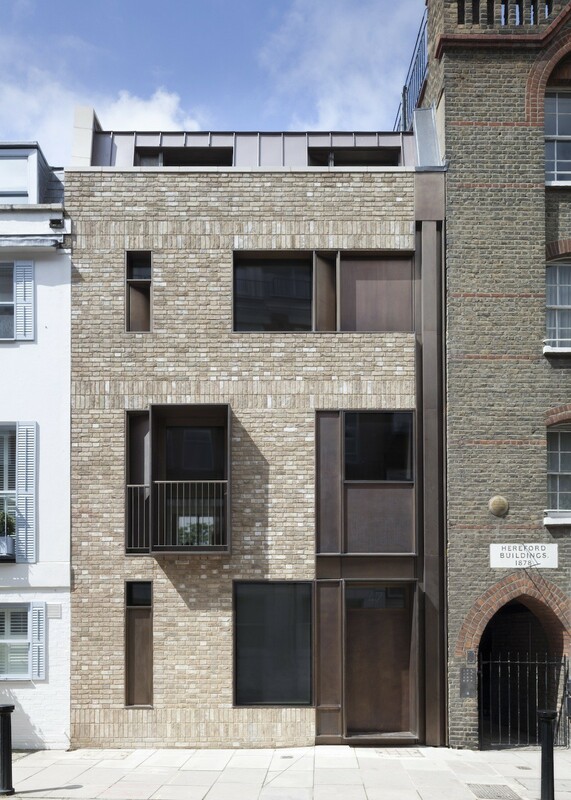 Described by developers Echlin (recently cited by The Sunday Times as a designer/developer to watch) as “an important landmark for contemporary British architecture in the Royal Borough,” this new build townhouse combines elegant architecture and an inspired palette of materials –just look at the façade with its combination of brick and bronze – with an equally luxurious approach to the interior. 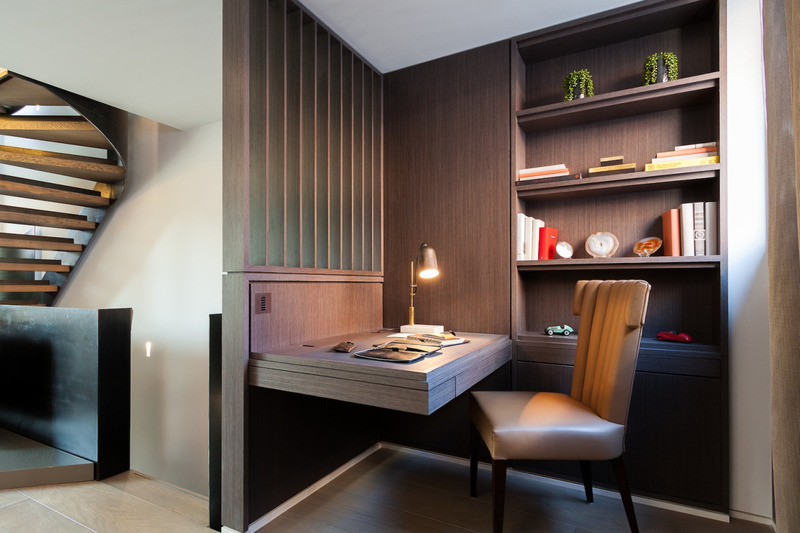 The developers worked on the project with TDO Architecture, who were described in the same Telegraph article as a “swashbuckling young practice” – you’ll find some information from TDO on the project here. As a word, ‘luxury’ is overused when discussing property. The term has been so loosely applied as to mean a lot less than it should these days, but this interior reminds you of what luxury really looks like: exquisite materials and detailing with a strong sense of craftsmanship, with some knockout features – let’s talk about the patinated steel, timber and bronze staircase – and a floor plan conceived to enhance the space and flow and light. In a city, space is luxury. 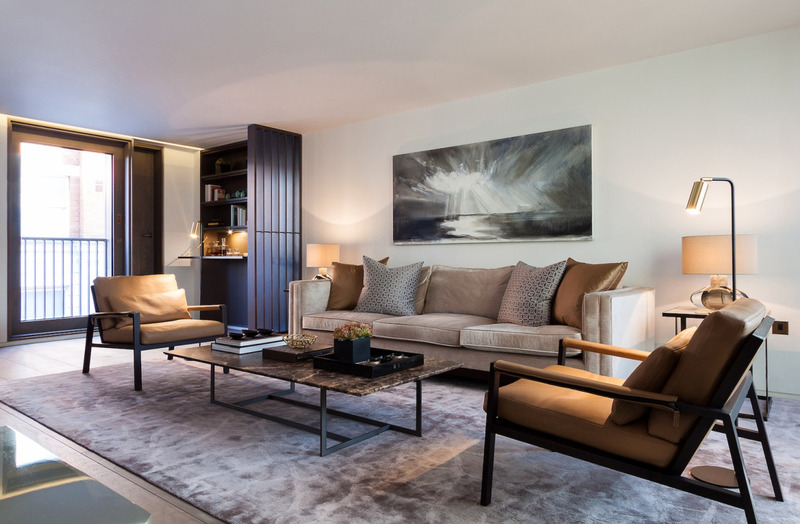 And this three bedroom townhouse is being marketed by Echlin fully furnished, where each element of the interior from the lighting to the majority of the furniture has been designed and made bespoke. Now that is a very luxurious approach to designing a home. I caught up with Echlin’s co-founder and Design Director Sam McNally to talk about the project. Firstly, what led you to this site? We purchased the site off market from an elderly gentleman who had lived there for 40 years. It was previously a post war fill-in house of no architectural merit and poor construction. 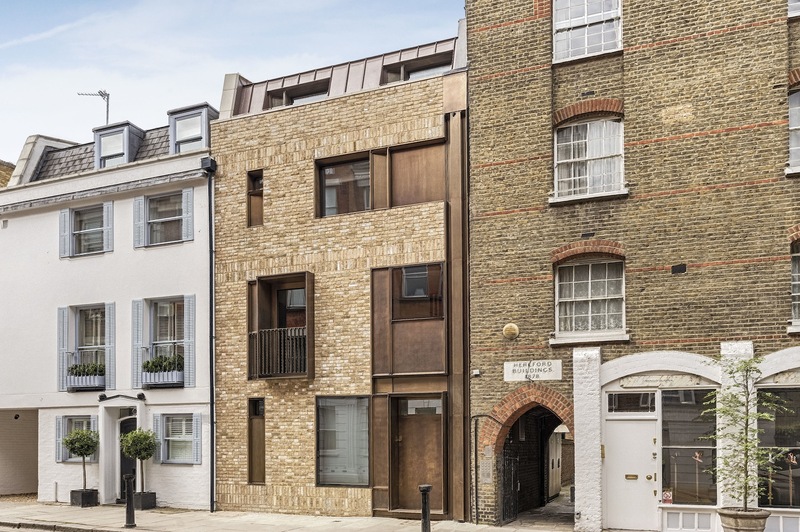 We saw a rare opportunity to replace the existing house with a landmark piece of architecture on one of Chelsea’s oldest streets that sits harmoniously within the historic streetscape. We maintained a relationship with the previous owner and despite his heavy attachment to the original property, he trusted us to turn it in to something beautiful and he loves what we achieved. This project was more than just a case of increasing the square footage for financial gain; we wanted to make a home we would be proud of. What were the specific challenges of the site? Planning was our greatest challenge. After going to the planning council’s committee, despite support from the planning officer, conservation, AAP (Architectural Advisory Panel), and a heritage consultant, planning permission for our design was refused. Given the amount of support we received, we confidently took the project to appeal. As part of the planning appeal pack, we successfully sought support from local neighbours including renowned architect Lord Rogers who wrote a statement of encouragement. Five months later, our work paid off and we received confirmation that we had won our appeal. Why did you choose to build a single townhouse rather than apartments? 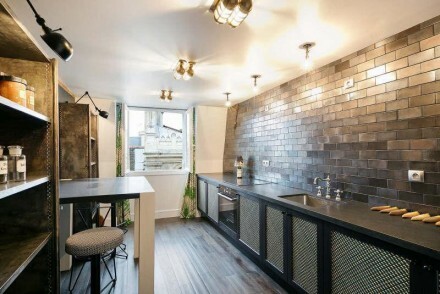 The site footprint was more suited to an open plan boutique townhouse rather than apartments. It was a pleasure to be able to completely redesign and recreate a replacement London townhouse style to suit 21st century living. How did you decide on the external treatment? We wanted to use rich materials in a contemporary form that would sit harmoniously in the streetscape. The way that bronze gently but confidently reflects light enhances this ambition. 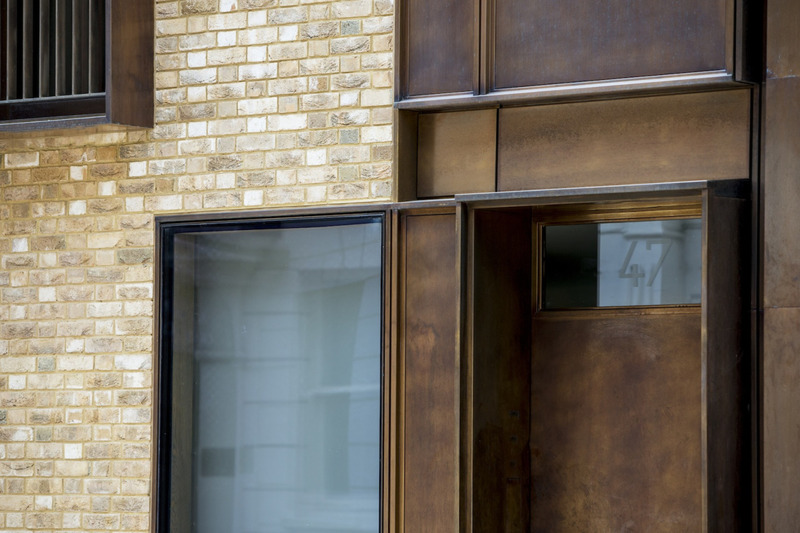 Old Church Street has a mix of architectural styles, from a Gropius designed property at no.66 to more period offerings like the Old Rectory – one of London’s largest private homes. This variation in existing styles allowed us the opportunity to be really creative on the exterior design, and create something totally unique. What was the brief in terms of the internal layout? We wanted to maintain an open plan layout to make the most of the space on each floor. We did not want space wasted on circulation areas such as corridors, and turned functional items like the staircase in something beautiful. How did the design of the staircase come about? The artisan staircase acts as the building’s spine being open to the principal living areas on all floors. 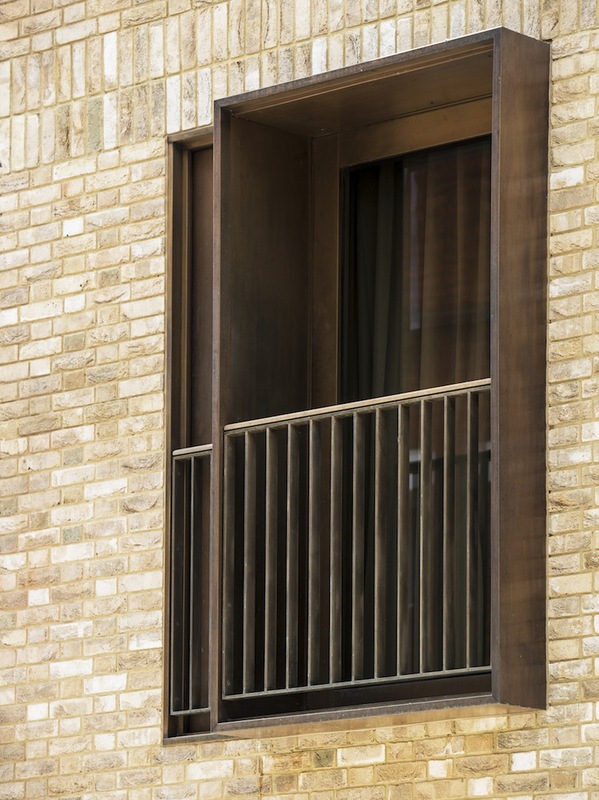 A patinated steel balustrade seamlessly winds up the house linking all floors together. The stairs sit elegantly cantilevered from the central floor plates, leaving a small void to pass light from an oversized skylight right down to the kitchen at lower ground level. Each hand made smoked timber tread features an elegant bronze insert to complement the building’s architecture. We believe that some of the grandeur, originating back in the Renaissance period, has been lost in staircase design and it’s something we enjoy spending a huge amount of time on. 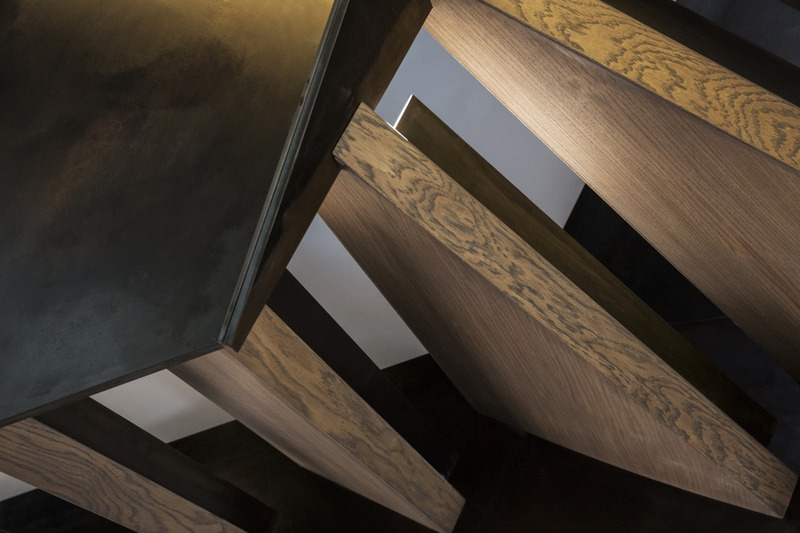 From the experience of using them to the craftsmanship involved, we want to create staircases that are more than just a way of moving between floors. 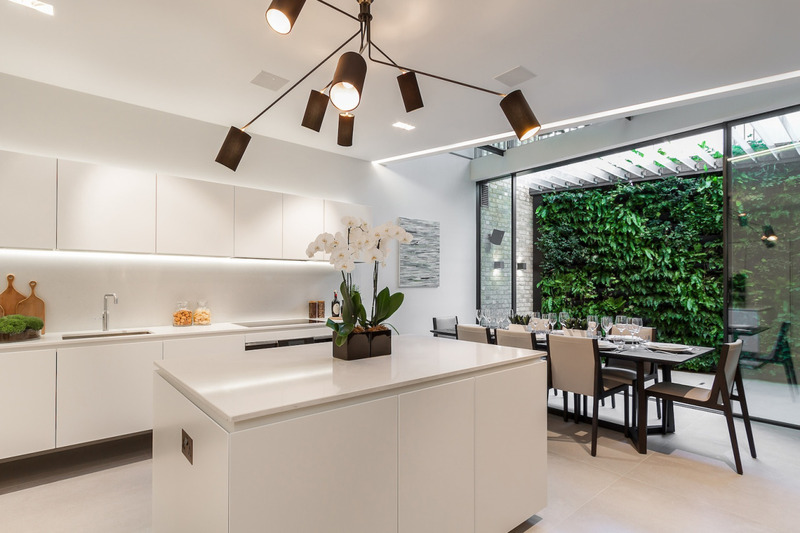 What inspired the design of the kitchen and courtyard area with the living wall? 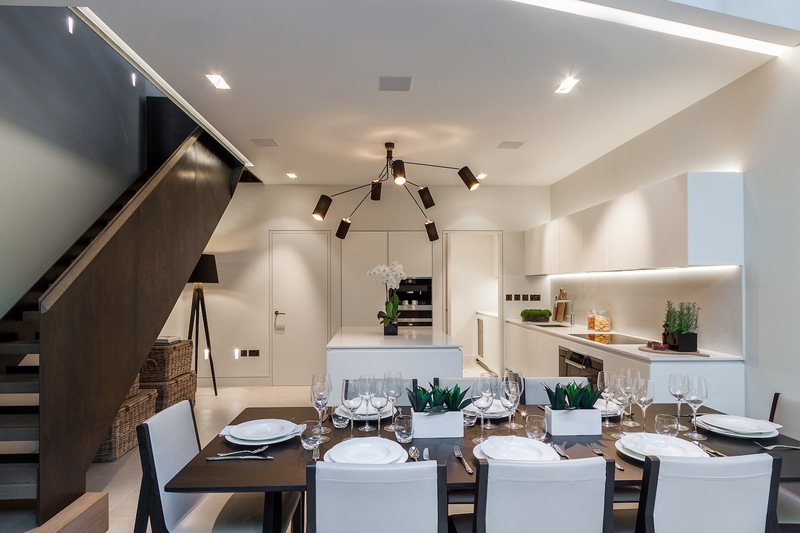 We are obsessive over natural light so we ensured the design would enable a generous amount of light to pour into the basement level kitchen. This is created by the use of a combination of walk-on glass above, high ceilings, a light colour palette, and a sunken courtyard access via oversized frameless glass doors. Kitchens are one of the most important rooms in a house, and the design is about more than just trophy appliances and shiny gadgets. Why did you integrate the living wall and were there challenges specific to this? The green living wall to the rear of the courtyard garden softens the look of this space and provides visual interest as well as a pleasant variation in materiality. The living wall benefits from being low maintenance and is automatically irrigated depending on the soil conditions. The irrigation water comes from two large rainwater harvesting tanks stored underneath the courtyard. This water is collected and recycled from the building’s rainwater drainage system. At what point in the design process did you decide on the style of the interior, and how did you go about choosing and designing the various elements? 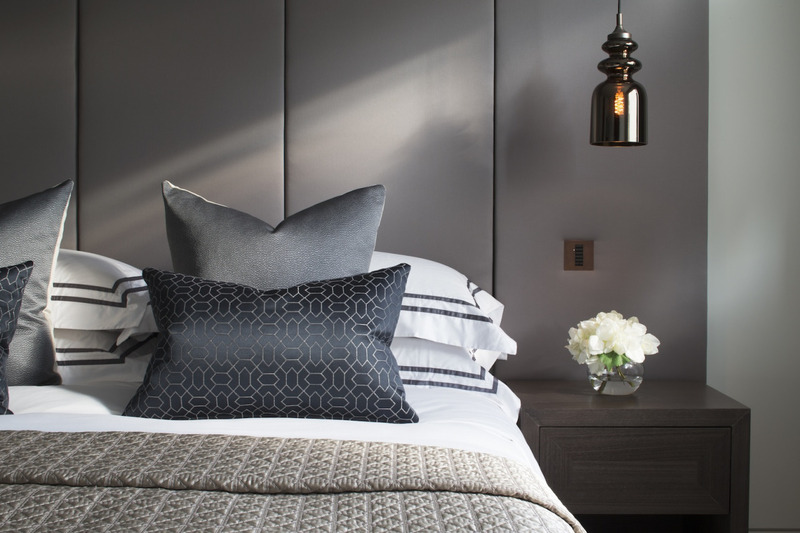 Our design philosophy is to create understated luxury through warm contemporary interiors coherent within their architectural surroundings. In all our projects it is imperative that the interior design works coherently with the exterior architecture, be it period or contemporary. We consider the interiors right at the start as part of the full design package. 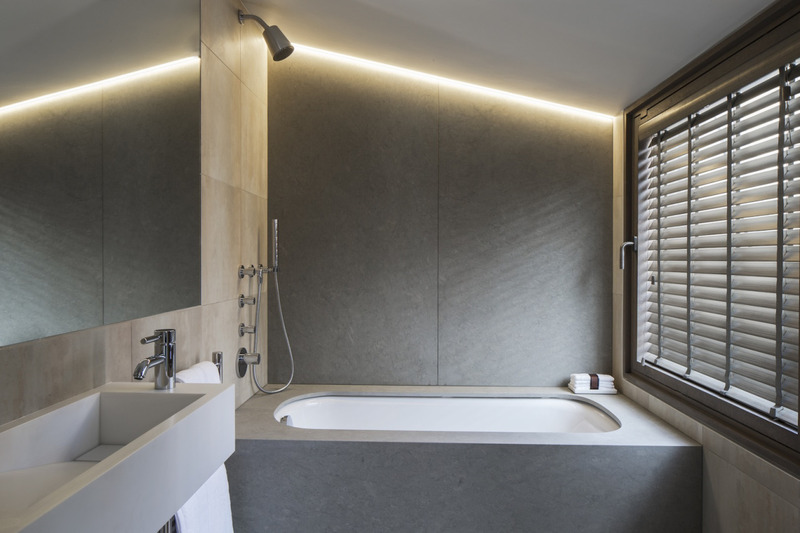 It’s important that all furniture layouts and ground arrangements are complemented with the lighting and electrical layouts as well as the way natural light falls in each space. 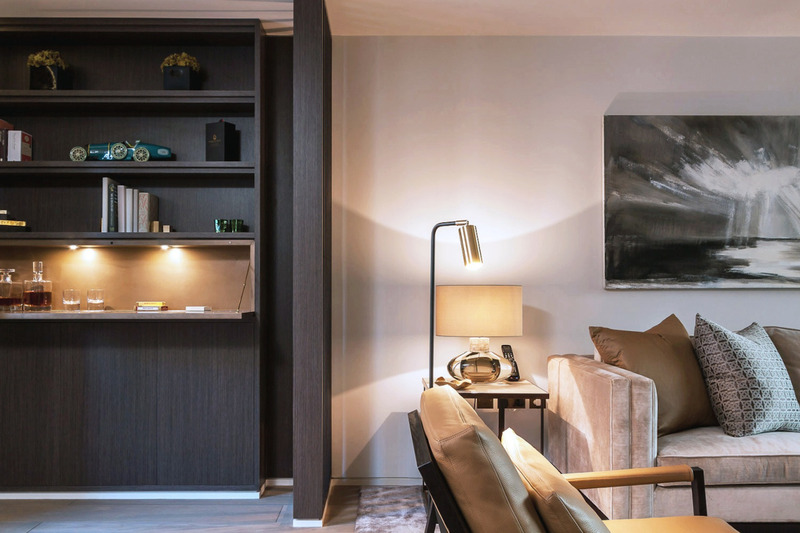 In all of our projects the majority of the furniture and fittings are designed bespoke to ensure a harmonious look throughout the development. What are the spaces or the design features of this house that have exceeded your expectations? We always have an accurate vision of how all the different spaces, light and materials will work. 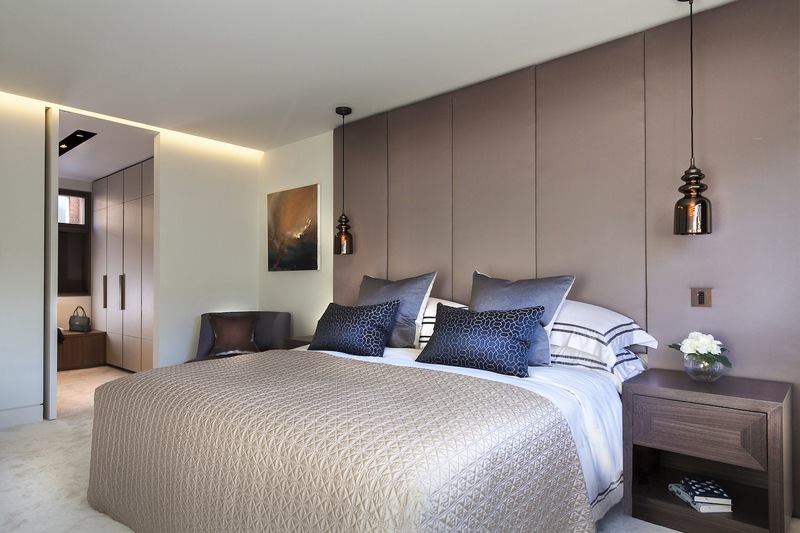 This is aided by 3D CAD models that we build for all our developments which are fantastic to get a ‘feel’ for the transition of spaces and natural light. At Old Church St, we were delighted with how much larger the house felt on completion when compared to its actual floor area. 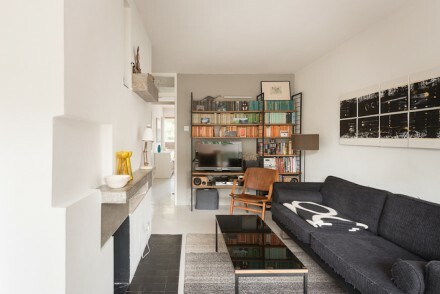 Most visitors to the house have believed it to be 30-50% larger than it actually is which is a great achievement in London were living space comes at such a high price. The amount of natural light flooding all spaces has also impressed us, even at basement level, making the house a delightful space to spend time in even on a dull day. We are currently working on three individual and very special family houses in central London. In Kensington we are working on a period house complete with a swimming pool and leisure facilities as well as a winter garden with retractable roof. In Notting Hill we have a grand family residence that benefits from a 50 foot garden, two roof terraces and majestic period proportions. Additionally, in Holland Park we are creating a large family home with a number of generous lateral spaces, as well as terraces and integral car garage. We are really interested in how to make tired, dated or unfit properties suit the demands of life in the 21st century. We are not about digging enormous super basements with rooms no one will use, but really rationalizing our city’s warren-like properties by maximizing light and space with visionary design. We are in discussions over some very exciting schemes for 2015, so watch this space. With thanks to Sam McNally. All photography provided by Echlin. 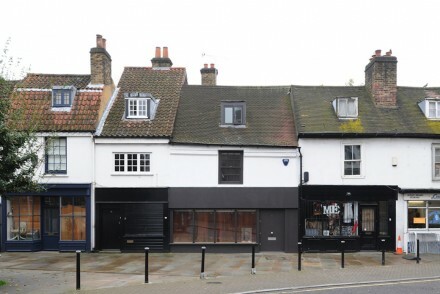 See my Steller story on 47 Old Church Street here.